My favourite YouTube video of 2016 as of now is a private upload titled “RW HI Map3 beta151222”. Coincidentally, it also showcases almost 7 minutes filled with wonderful, hauntingly desolate gameplay footage of the upcoming Rain World. A cautious slugcat performing stellar acrobatics is all you’ll see, although there are brief parts involving shooting. I can go also on and mention the fact that the game still looks uniquely bleak and features perfectly crafted pixel graphics mixed with one of the most fitting mellow soundtracks I’ve ever heard, but all of this is already a well-known fact. 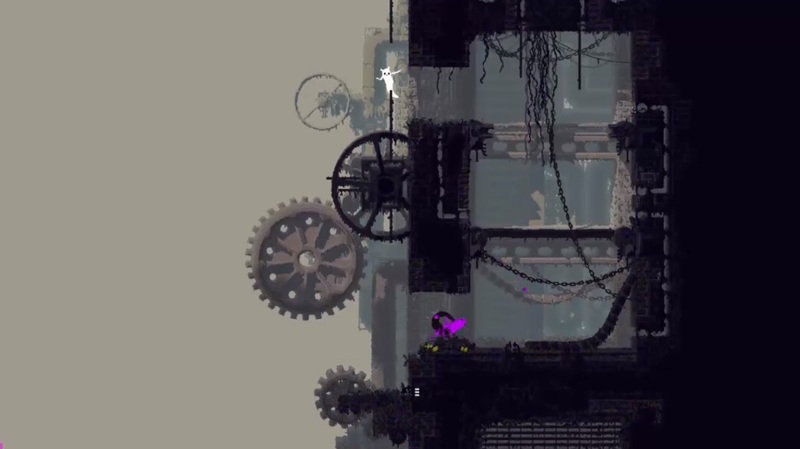 It would be even better if I told you that the footage was released as part of an update on Rain World’s Kickstarter campaign, which goes over several new additions to the game. One of those, and perhaps the most substantial one, is a map that reveals itself as players explore the world. Intriguingly, the developers mention their initial hesitations on including such a gameplay tool – mostly due to the possibility of players using it too much as opposed to relying on their visual orientation- but with the game’s surroundings presenting constant dangers it looks like those concerns were left behind. There’s also the addition of a highly minimalistic UI element representing player’s food, while you can also see the basics behind the behavior of Rain World’s ultimate enemy creatures – the “Scavengers”. Finally, the update also confirms that the game will be arriving to PlayStation 4, as sneakily announced last December in a video from the PlayStation Experience keynote. Now all we can do is wait for the official release date to be confirmed, although judging by the update at hand this might be happening rather soon.